We just love awarding certificates to these fantastic photographers committed to their professional development and ensuring they are up-to-date with their health and safety training! Congratulations to our first Perth Photographer Karin Shugrue from KS Photography on completing the Certificate in Newborn Photography!! 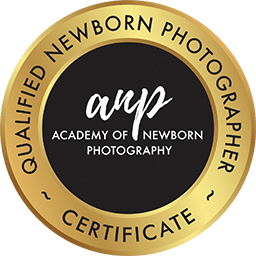 Certified Newborn Photographers complete a total of 19 Subjects on Birth, Newborn Health & Safety and Workplace Health & Safety and they have achieved a 100% Pass mark in 3 examinations. They have completed their Infant CPR and First Aid Certificates. They will either be fully immunised or disclose their immunisation status to clients. I feel so lucky that as a Newborn Photographer, I am able to meet so many gorgeous little babies and their parents. Newborn babies are such wonderful miracles and to work with them gives me such joy. I have specialised in newborn photography for the last 8 years. As a result, I am very experienced settling any of my client babies to sleep. It comes natural and I strongly believe that babies feel safe and secure with me. Moreover, I can often feel babies relax in my hands and I can read their state of readiness for sleep. When your baby is asleep, I can tell by their breathing and movements when they are about to wake up. I can also distinguish their different cries for being hungry, tired or even if they have tummy pains. Consequently, parents are often amazed when they watch me and call me a “baby whisperer”. I also receive requests for babysitting regularly. However, despite being a mum myself, 8 years of experience and hundreds of babies later, this year I felt that I wanted to take my craft one step further. I have always strongly believed that your baby’s health and safety is my top priority. Although I feel very confident through my extensive experience and practise, I wanted to become a certified newborn photographer. The training with the Academy of Newborn Photography was a perfect fit for my professional development. Are you looking for a Newborn Photographer? The increase in popularity of cute newborn photos has led to a big increase of baby photographers offering their services to the public. How do you choose your newborn photographer? There are such big differences in skill levels, experience as well as pricing? What questions should you ask when enquiring before booking? Don’t choose someone who wants to practice their posing and baby handling. Or someone who’s rude, impatient or demanding upon first contact. Chances are that the photographer could be worse during the session. But above all, you need to ensure that your baby’s safety comes first. Below are some suggestions to check out. Being able to handle a baby in a normal day situation is not enough to be a certified newborn photographer. The poses, so desired by most parents, don’t just happen. They require experience, knowledge and training to achieve safe, comfortable positioning. Unlike some other businesses, there is no regulatory body to supervise the practices of photographers in Australia. The Australian Institute of Professional Photographers (AIPP) is the only countrywide recognised body where photographers can apply to become accredited members. I am very proud to say that I am a fully Accredited Professional Photographer with the AIPP since 2013. Can you see an ABN number displayed on the website? If not, please ask if the business is registered with the Australian Business Register. If the business is operated from home, is it registered with the Local Council and licensed? Has the business the council’s permission to operate from home? Check to see if the photographer insured against public liability? Being a member of a professional organisation such as the AIPP shows professionalism and a quality standard. Is the photographer an Accredited Professional Photographer? How can you assess a photography business for its integrity? Someone who shows patience, understanding and kindness to you and your baby. You should get a feel for that when you’re contacting your prospective photographer. Read the reviews on Google or on Facebook. Don’t just rely on a 5 Star rating, but see how many customers have actually contributed to that rating. Are package prices easy to understand? Do you get the impression that there will be pressure selling? Will you be able to obtain digital images and be in control of your photos? Does the photographer offer ways to spread the load? Gift Vouchers, Credit Card or instalments? Different packages for different requirements (I offer my premium Newborn Art Photography, my mini Short & Sweet Package and my relaxed Lifestyle Package).